There’s a lot of TV out there, and…holy hell, how have I gone this long doing short TV reviews for this site without covering Archer? That’s downright screwy. 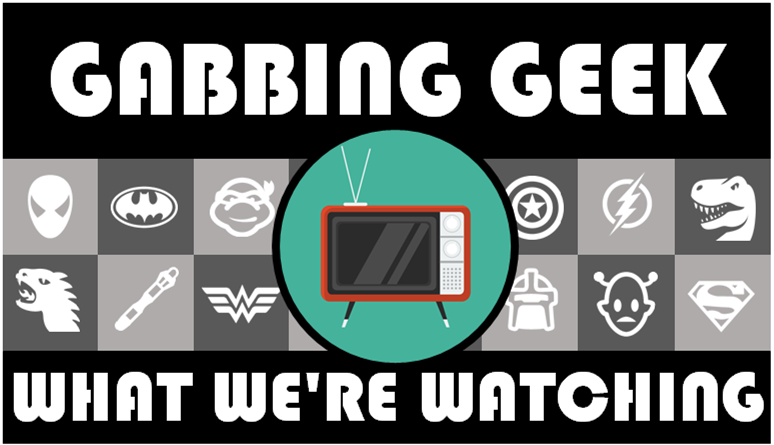 Oh yeah, this week I’m covering Archer. 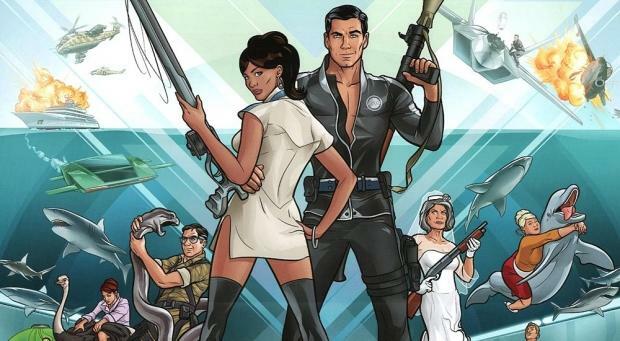 Originally, this animated show followed the adventures of Sterling Archer, the world’s greatest secret agent (according to him), as he took missions while working for his overbearing mother’s spy agency. Actual spy work doesn’t always appear on the show, actually, as Archer tends to get into petty squabbles with just about everybody. The show comes from a couple of guys who got their start on the Adult Swim imprint. The cast is all-around fantastic. The spy stuff will get new viewers to check it out. The show’s humor will keep them sticking around. The cast is fantastic, and the characters well-defined. That’s where a lot of the humor comes from, incidentally. Much of the jokes are character based as opposed to plot based. That cast includes the fantastic H. Jon Benjamin as the idiotic man-child Archer, Aisha Tyler as actual competent (and often frustrated) agent Lana Kane, Judy Greer as insane secretary Cheryl, Amber Nash as unrestrained id/PR director Pam, Chris Parnell as insecure numbers guy Cyril, Lucky Yates as mad scientist Krieger, series creator Adam Reed as openly gay agent Ray, and Jessica Walter as Archer’s mother and everyone’s boss. Quite frankly, there isn’t much difference between Walter’s character here or on Arrested Development. Holy hell, how have I gone this long without covering Arrested Development? The strength of the show’s characters has actually allowed to format changes. When the FBI raided them for being an illegal spy agency (which they obviously are), the show changed to “Archer Vice” when the characters went into selling a large amount of cocaine found in Mallory Archer’s basement. Pam ended up eating most of it. Seriously, Pam is awesome. The creative swearing alone makes her worthwhile. This season, after being drummed out of the spy business, the characters became private detectives. Oh, and one season opener had Archer in a fugue state where he thought he was Bob Belcher. Through no fault of their own, the agency’s original name was “Isis”. Yes, they changed it quietly when current events made that name…problematic.